I am an independent consultant for Jamberry Nails, a direct sales company who provides high quality, vinyl nail wraps that can last for up to 2 weeks on fingers and six weeks on toes. There are non-toxic, and since they are not polish there is no chipping or dry time! There are two catalogs a year with over 350 designs in each catalog. I am a Premier Consultant with Jamberry Nails and I have been with the company for almost a year at the time of this publication. 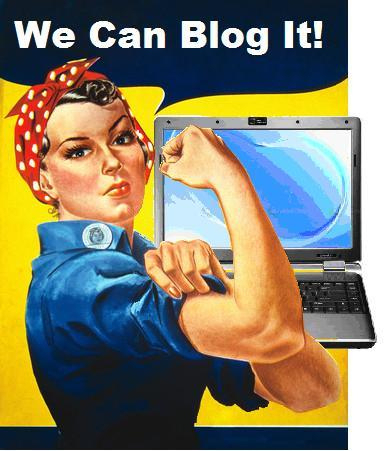 I have a growing team of women and I do a large percentage of my business online. I run parties in a very similar manner to Karen read her blog HERE to find out more about running Facebook parties using Postcron. I want to tell you how I use Postcron as a busy mom, wife, and consultant to manage my online accounts and increase my efficiency. I use Postcron to automate my parties but I have also begun to use it to manage other aspects of my business. I work this business as my full time job, and I am also a mother of 4 children under the age of 8, so my time is precious and trying to balance all of my responsibilities can be a daunting task. This is where Postcron helps to save my sanity! I use it for several aspects of my business. Some of the ways that we will discuss are using Postcron to schedule posts to your business pages, your personal account, your customer care group, and to your team page and training events if you are in a leadership position in Jamberry (Team Manager and above). You have heard the term “fortune is in the follow up” countless times I am sure. In direct sales it is vital that you follow up with customers to get repeat business, following up sounds easy enough, but for most of us it is the task that gets pushed off for other tasks. One of the best ways to follow up is with personal messages, emails, and phone calls, but did you know that you can also follow up with customers by actively engaging them in your customer care group and on your business pages? True story, I have been so busy that I had neglected my business page and my customer care group. When I decided to start posting in them again I immediately saw response and even got an order! I was kicking myself for not utilizing these avenues to manage and grow my business! So I figured that Postcron would be a great way to schedule posts ahead of time to my social accounts so that I would have more time to engage with customers, follow up with them, and run my business. A business page is a gold mine for cold market posts and for keeping your current customers up to date on Jamberry. You can set your business page up as a Local Business, and then change the address settings to “no street address” then display the map on your page. This will allow for user to rate and review you as a business as well as increase your post reach tremendously. Once you have your business page set up you can start determining what to post. Remember to consult Policies and Procedures in your workstation for updated guidelines on business pages and boosting posts. There is a great blogpost written by Karen, an independent consultant, about what kind of content you should post on your business page. Things that are great to post on your business page are images from Jamberry Flickr page and images of wraps on hands. Showing the product is the best way to advertise your business. You should also remember to add in fun stuff like games, contests, and personal posts. Make sure to always balance your posts so your subscribers do not feel like they are being inundated with all things Jamberry! 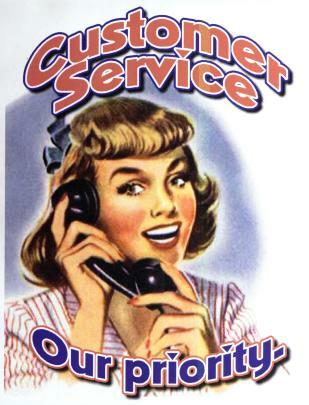 Customer care groups are a great way to actively engage and follow up with customers. They are a great platform to build your relationship with customers and to even run monthly parties in for your VIP guests! If you have not already created a customer care group, go to your Facebook now and create a group and then share the link with your past customers. You can use Postcron to schedule a post announcing your customer care group and share the link for people to join. The easiest way for you to share your group is for the group to be set to closed. You can edit these settings by clicking the three dots by the cover photo in your group. You should also set the member requests to admin approval only and let guests add friends. The reason why you want your member settings at admin approval is to prevent trolls or spammers from joining your group and spamming your customers. You should post a few times a day. Ideally 2 to 3 times a day. The best times to post are around noon, and again at 8:00 or 9:00 pm this is when people are most active on Facebook. For your customer care group you should post fun informative posts about Jamberry as well as personal posts meant to engage your customer base as well as build a relationship with them. You can also run parties with your customers that are more focused on the product and other product lines that Jamberry carries. You can have more fun with it because your customers are already familiar with Jamberry. 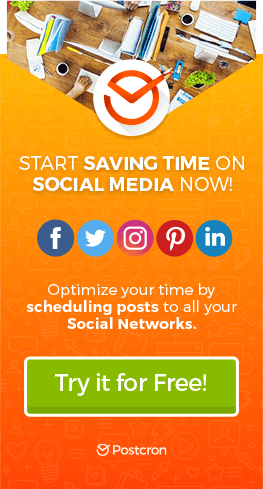 You can also use the scheduling capabilities of Postcron to schedule posts to your personal page, posts for booking parties or advertising for recruits are great examples of what you can schedule to your personal page. If you have heard of the Flower booking game it is a really popular game to get you a lot of bookings! You should ask your team manager or sponsor about it! Just remember when posting to your personal page to follow the recommended best practice as Karen discusses here. If you are in a leadership position in Jamberry (Team Manager and above and in some cases Premier Consultant) then you will love Postcron for trainings. Most of you know that you can create an event inside of your group page and use it to run, organize, and store trainings for your team. The best thing about running an event inside a group (your team group) is that it automatically invites every member of the group and makes a post announcing the event when you create it. Postcron would be perfect for those Greenlight booking Challenges, or for compliance training and especially for Mock Parties! Imagine the free time you would have during a training to work with your recruits rather than trying to get the next post ready. Postcron frees up your time and allows you to be a better leader. For me, Postcron is the most reliable, affordable, and efficient post scheduler available. The two best things about Postcron are the referral program and the bulk uploader. Currently you and the person you refer can get 10% off your monthly bill for a YEAR when you sign up for Postcron! If you get 10 people to use your referral link then you can get your year for FREE! I have paid at most $3.24 a month for my account and it is a Business account! I can add 6 team members to my account and they enjoy the benefits of Postcron for FREE! You can’t beat those savings! The bulk uploader is incredible. Once you have created your CSV (see more about creating CSV here) you can upload the document in Postcron and schedule your entire party in one click! You are now free to engage more in your parties and have more fun! You can still post while you are away from the computer! I now enjoy my evenings with my family and check my party from my phone! Some say that they are afraid that a post scheduler can make consultants more disengaged in their parties. But that simply is not true. Just because you schedule your posts in a party that does not mean you get to walk away from the party and let Postcron do the work. You still have to engage with customers and answer questions. Since tagging is not available in any Post Scheduler you should always go back and tag your hostess in posts. Tagging your hostess increases your post’s visibility to your guests. Deselect your profile page when your are scheduling: Often new users make the mistake of posting to their personal page AND their parties. Save your CSV: When creating your CSV document you can save it as a CSV comma delimited to eliminate the problem with apostrophes and other punctuation marks. Images: The images should be 2047 x 2047 or smaller to upload correctly in the bulk uploader, if you get an error saying your image is too large you can correct it by resizing it. Put your link in the text column: If you are posting a link to your website AND an image in a CSV you should put the link in the text column of the CSV and not in the Link Column (last column) when you post a link and an image together it may cut off the image or post a white square with the link and no image. How to get a preview of your post: To get a preview of a video or website in a post with no image in a CSV you should post the link in the column after the image column. This will generate a preview in your post. How to post more than one image: You cannot upload more than one image using a Post scheduler this is something that Facebook will most likely never allow. To avoid this problem you can create COMPLIANT collages (check with your Team Manager or Sponsor for compliance) or you can simply choose one image to post. Once you get use to it you will forget that you ever posted more than one image. For games, some games have lots of images and by not being able to post multiple images users have wondered how to schedule them. What works for me is when I am creating the party and loading my pre party posts before I add anyone to the party is to set up my games in albums. I only load the cover photo and in the description I put the time and date that the game will be available. Then I go to my Postcron account and manually schedule the images into the albums for the set time and date for each game. Then I go back to my party and copy the URL from the albums and make a post for each in my CSV document and paste the URL to the albums in the last column (link column) of my CSV. I usually make the post announcing that the game is open and ready to play. By doing this it is easy to go to the photos section of your group and see who played your game. When guests play games in your party it can cause your party to get filled with posts and make it VERY hard for you and your guests to navigate. The best way to get around this is to go to the post in the feed of your party and to “hide” the post. Users will still be able to access the game from the photo album link post you made but when they play it the posts will stay in the album instead of clogging your party feed and the feed of all your guests. Which can lead to your posts being reported as spam.